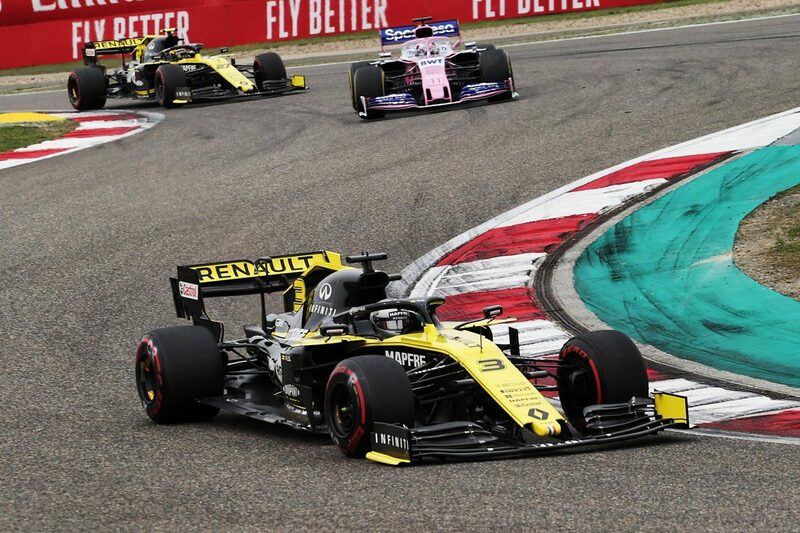 Despite finishing in the points, Daniel Ricciardo believes that Renault still has work to do after team-mate Nico Hulkenberg suffered another failure in China. The West Australian crossed the line in seventh position, leading the midfield battle behind the Mercedes, Ferrari and Red Bull drivers. Ricciardo felt that it was a tough race despite feeling ‘lonely’ at times. “It’s good to get on the board, finish the race and have my first points with the team,” said the 29-year-old. “We were looking for that in the last couple (of races), so it’s nice. We’ll take the positives and try and build on that. “It was a bit of a lonely race, I didn’t have so many battles, but I was being pushed hard from the cars behind all the way to the end. “It might have looked a simple seventh, but it wasn’t easy. Hulkenberg, on the other hand, had to return to pit lane on Lap 18 with an MGU-K related issue, forced to return to the pit lane on Lap 18. “At some point, I couldn’t see Nico in my mirrors anymore, so I suspected he did a different strategy, or he was out,” explained Ricciardo. Ricciardo, however, had no qualms during the race. “I normally never like to know if a team-mate retires,” he explained. “I just got to keep going, so it’s best I don’t know. The weekend was an encouraging one for Ricciardo having finally appeared in Qualifying 3 in 2019 and also made the chequered flag for the first time with the works Renault team. “It’s a strong result and the best we can ask for; at least for today,” he said. “We’re trying to find a bit more every weekend, but it was a start this weekend. Ricciardo sits 11th in the driver’s championship with six points next to his name while Renault jumps up to fourth spot in the constructors’ race, level with Alfa Romeo Racing but 40 points behind Red Bull Racing. Round 4 of the championship takes place in Azerbaijan at the Baku City Street Circuit on April 26-28.